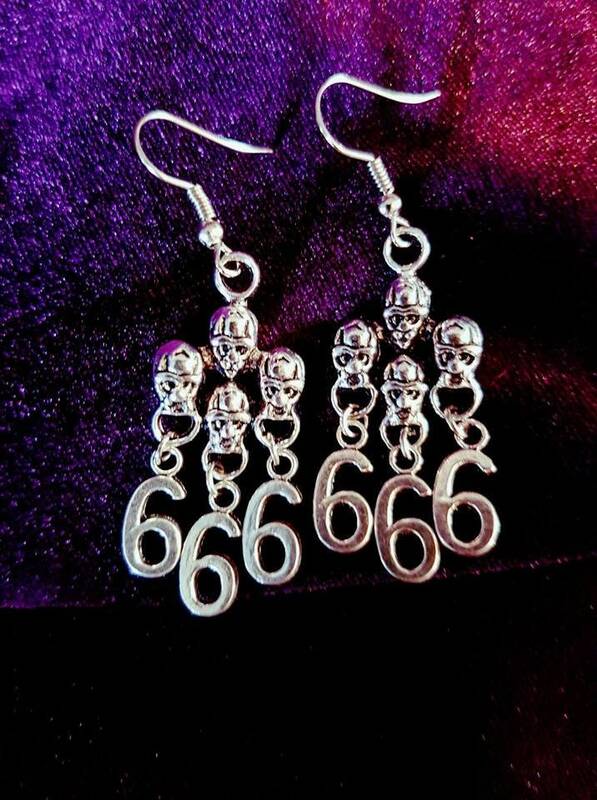 666 Number of The Beast Earrings. 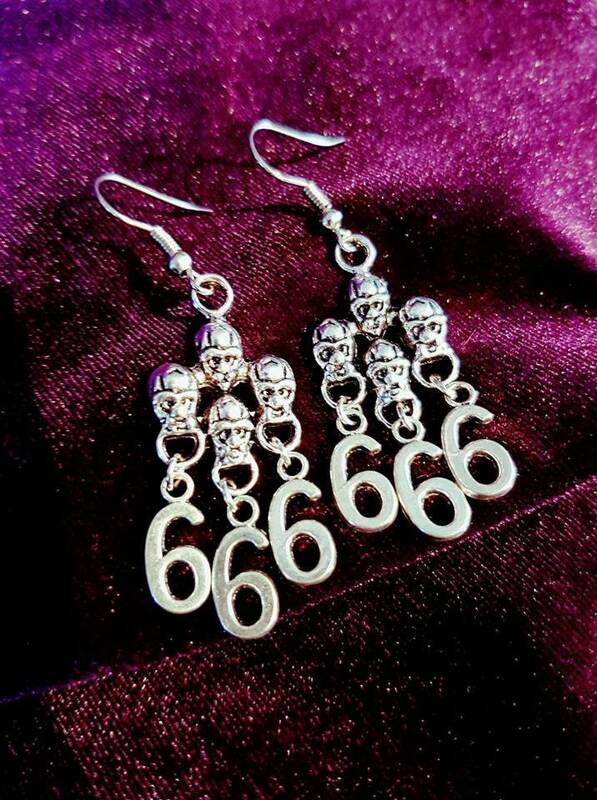 Nice 666 Earrings, with 4 small alien-like skulls at the tops. 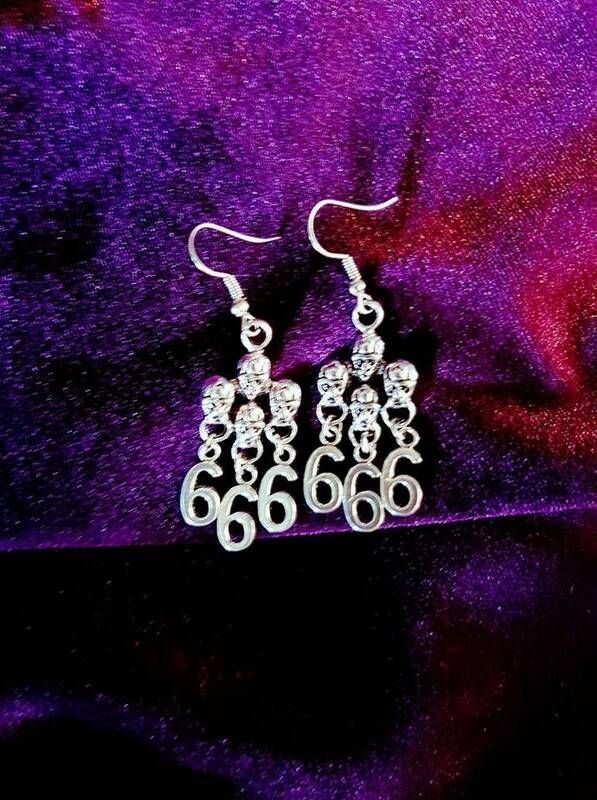 In numerology, 666 is seen as a number set that points to abundance, luck and optimism. This is because once all three numbers are added, the resultant number, a 9, is viewed as one of selflessness as well as the pursuit of a quality life. People who tend to see this number are more likely than others to get involved in giving items as well as any other resources to charitable organizations. 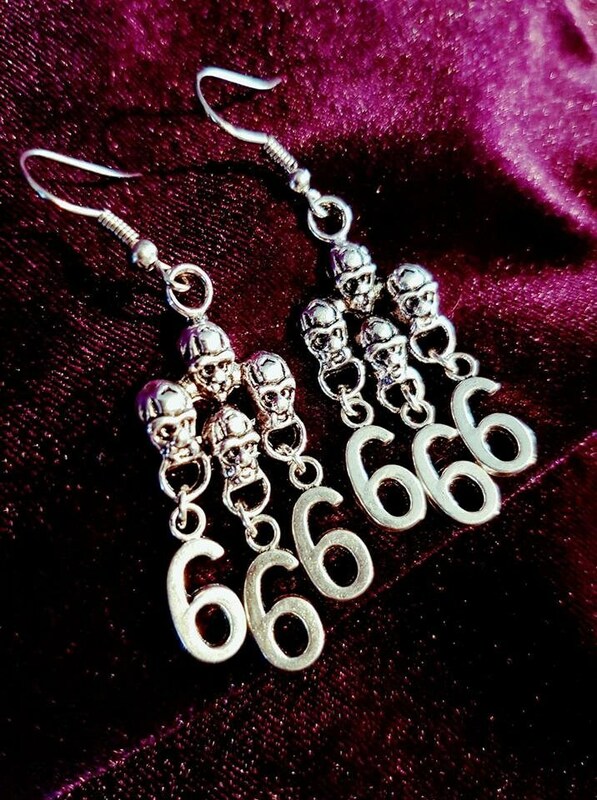 In addition, 666 can make you become more tolerant of differences with regard to the views of other people and cultures. The number 6 represents the third eye chakra which is essentially a way of communicating with one’s intuition as well as the universal mind. The third eye chakra is also related to psychic experiences and clairvoyance, and it might just make you more sensitive to the invisible energies around you.